Easter ranks a VERY close second to Christmas as my favorite holiday of each year. When I was younger, it was because my sisters and I always woke up to stuffed bunny rabbits at the foot of our beds. Now, it’s all because of one thing: Cadbury eggs. Sad, but true. The second these babies are on the shelves at CVS, I lose all self control and buy them immediately. This year was no exception, and just when I finished my first bag, my darling mother sent me another! 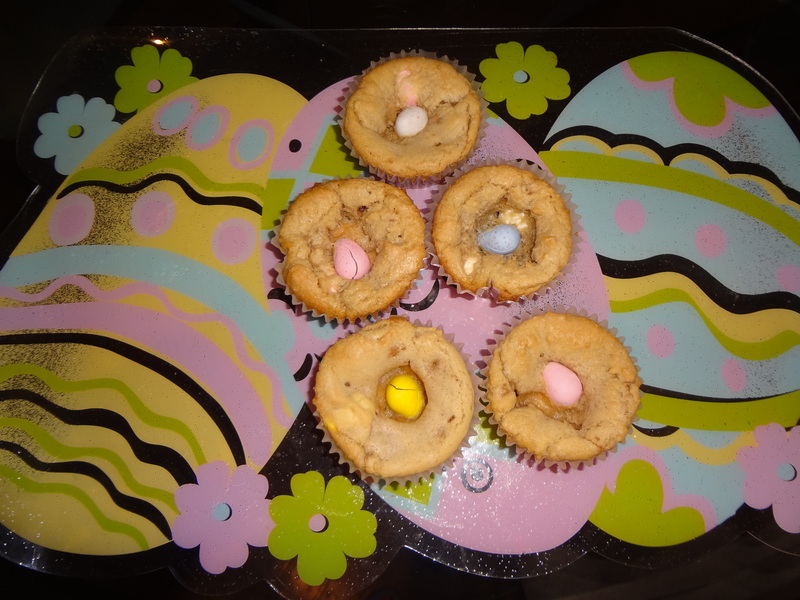 I absolutely needed to get these out of my house, so….I baked with them! 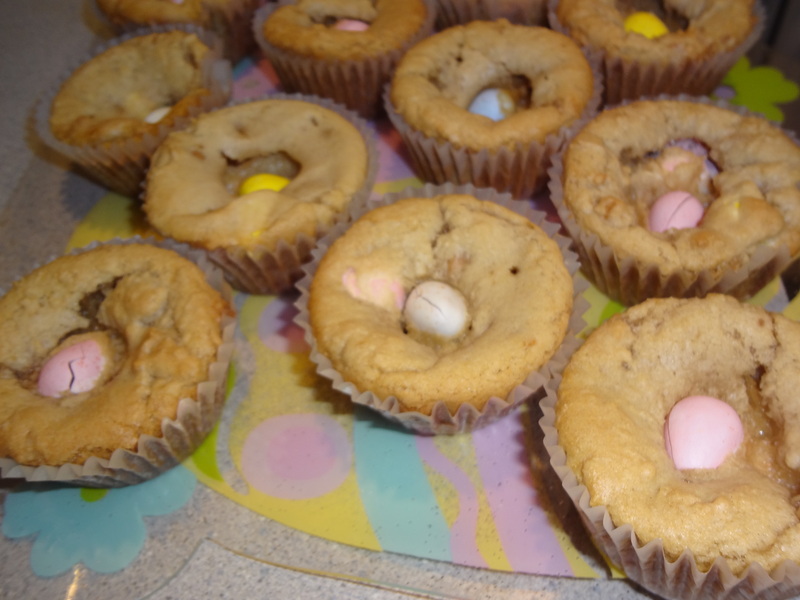 Here’s a spin on my favorite homemade cookie-dough recipe, filled with Cadbury eggs. 1)Preheat oven to 350, and prepare cupcake liners in muffin tins. Spray them with butter spray. 2) Soften butter in the microwave on low power—do not melt. 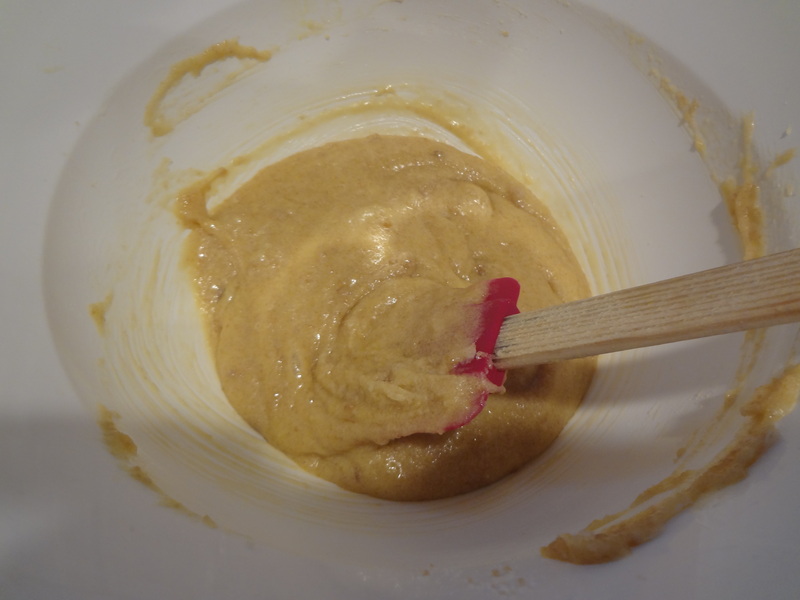 3) Once the butter is softened, mix in sugars with a spatula. 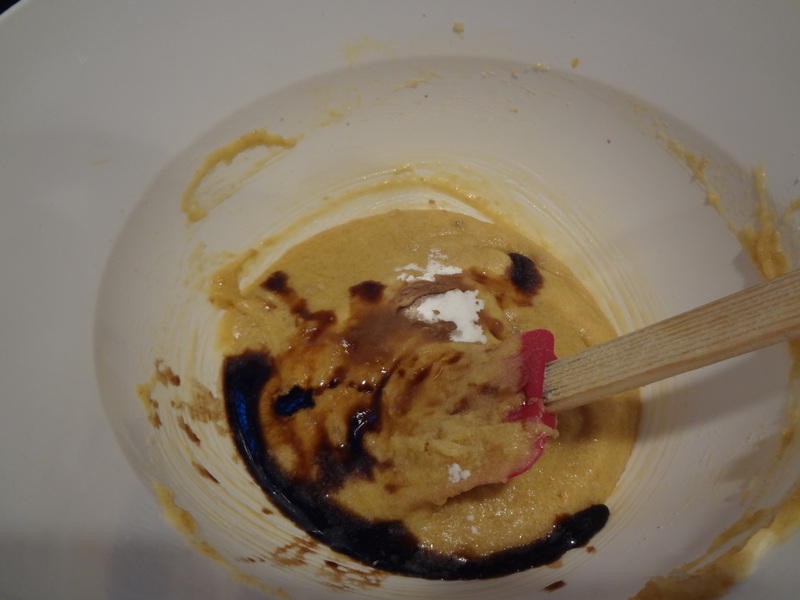 4) Once mixed, add in both eggs and vanilla. Stir until mixed. 5) Add baking soda, and gradually add the flour. 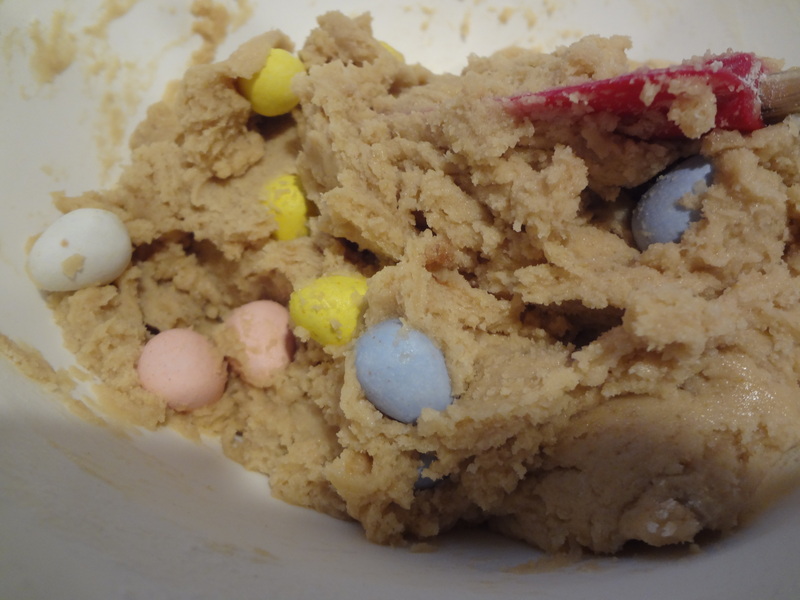 6) Once mixed, add heath bar and Cadbury eggs. 7) Scoop cookie dough into cupcake liners. 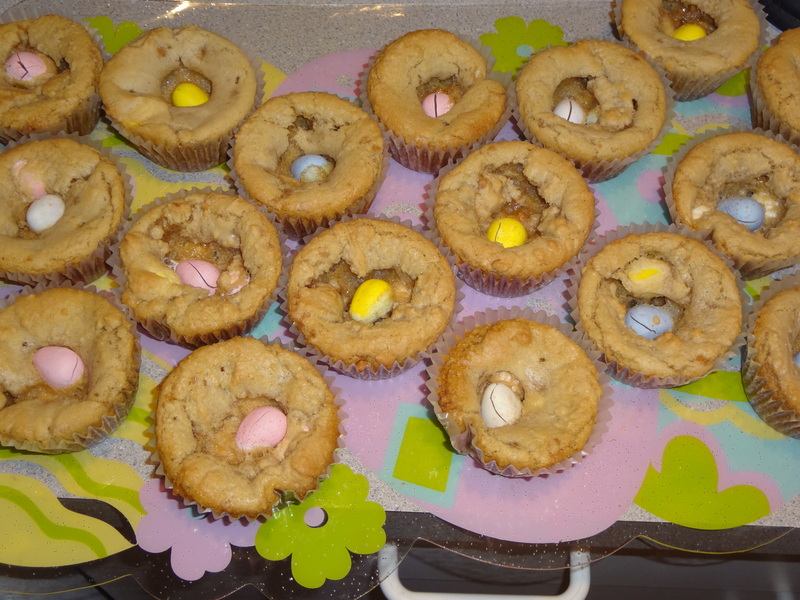 Top each cupcake with Cadbury egg. 8) Bake at 350 for 14-16 minutes, or until browned. (I like mine slightly undercooked).